At the age of 16, Vedran Dulabic was sent from his home in war-torn Tuzla, Bosnia to Zagreb to stay with relatives, hoping to get a permanent visa to USA. But instead he met Jesus Christ and has become one of Croatia´s foremost protestant Christian leaders, as well as professor of law at Zagreb University! Vedran is married and has one eight year old daughter. - I was born again in 1994 through persistent street evangelists, chuckles Vedran. - They just didn´t give up. I was impressed by their simple faith, so I started to go to church. But after some weeks, my focus started drifting away from the Lord, but then a prophecy startled me back to the Lord. So I know the significance of charismatic gifts. But Vedran´s mind was sharpened through his life with the Lord, and at first he considered studying theology, until he realized that his real gift was in the legal profession. 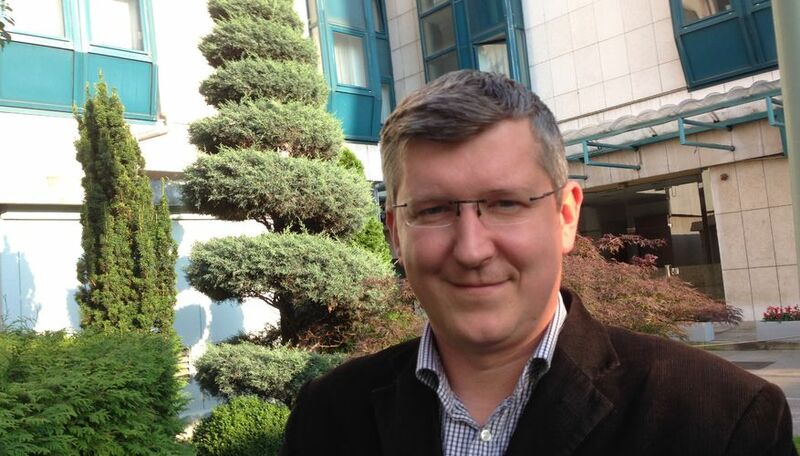 Vedran Dulabic is a highly acclaimed professor of law, and his academic credentials bring him all over the world. - My greatest desire is to serve the Lord, he says with a wide smile. - It has been a joy to see how our movement has been positioned as a part of Christendom in Croatia and the Balkans, says Vedran. - Personally, I relate to key bishops of the Roman Catholic Church, and also the Orthodox Church, as well as our friends among baptists, brethren, and different pentecostal-charismatic movements. - We as the Evangelical Pentecostal Church are a part of all the significant ecumenical and religious bodies in our nation. The President of Croatia even visits some of our churches, and invites us to sit at his table. It is really an honor! 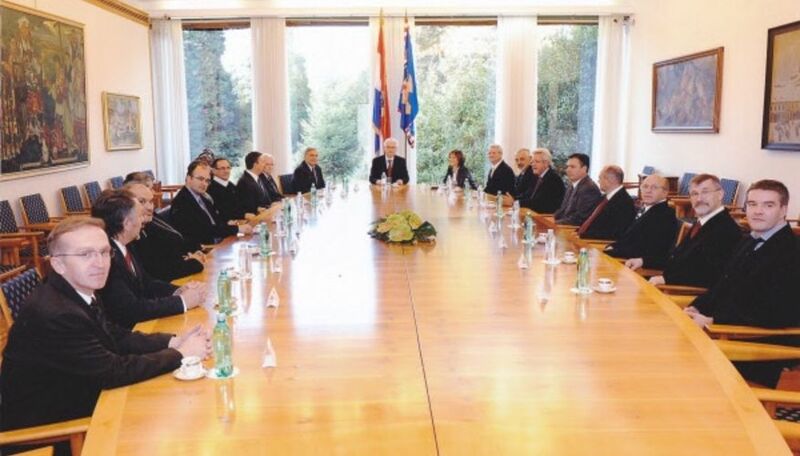 Sitting at the head of the table is Croatia's President Ivo Josipovich, and together with him is Damir Spoljaric. This was a meeting with key religious leaders of Croatia.